The consumer experience is transforming, and technology is at the center of it all. One company leading the way is health insurance provider Humana. 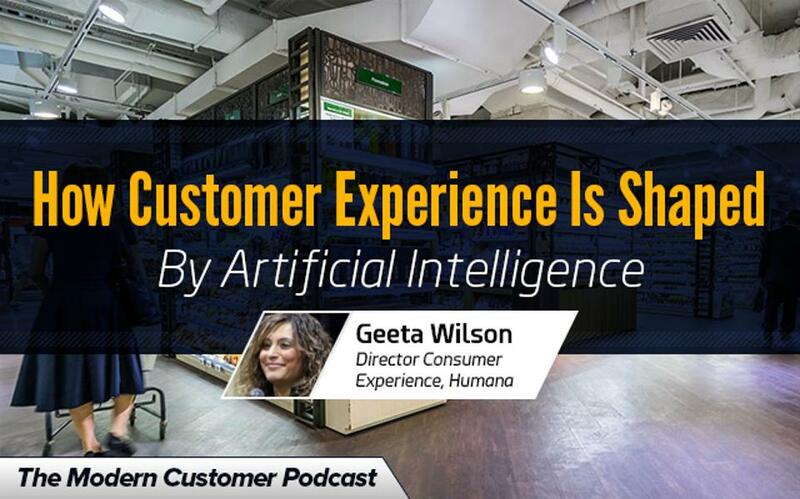 There are a lot of options to focus on with the customer experience, but according to Geeta Wilson, director of customer experience at Humana, the company looks for where it can make the biggest impact first—by using technology to deliver a better experience to the customers. Humana breaks down its interactions with customers into two categories: assisted and unassisted. Assisted service is when a person needs help to answer their question or perform their task. This is usually done on a phone call or via a chat experience. Unassisted service is when a customer can get the answers they need without any intervention from a customer service representative. To streamline the process and help customers to have a good experience on their own terms, Humana is turning to artificial intelligence. The new Ask Humana tool helps customers get the answers they need by using an online tool similar to a live chat. However, instead of chatting with a human, customers are communicating with a machine that uses trends and previous knowledge to provide the right answers. One area where artificial intelligence tends to lack is with emotional connectivity. Humana has been working on building a better emotional experience by mimicking the connectivity customers have when talking to and chatting with real customer service representatives. There are a number of challenges involved with artificial intelligence, including making sure the information is updated and accurate, that the experience meets customer satisfaction levels, and that the program meets the company’s success metrics. What sets Humana apart in its quest to better the human experience is its approach. The company is focused on finding solutions through rapid experimentation to test their hypotheses. Once a hypothesis is found true, they continue to build on it. Humana starts broad to go narrow by framing the problem, making sure the team has a strong understanding of it, and then framing an experiment to test a solution for the problem. Because artificial intelligence is such an unknown area, the company is in uncharted territory and works to lay out the assumptions and let the results speak. To prove the technology, Humana relies on a number of metrics, including a unique emotional score. Because customers make 70% of their decisions with an emotional response, Humana uses a CPS-style approach to measuring emotion in AI interaction. The company has found that as emotional metrics improve, so do their other success metrics like overall satisfaction and the length of the call. As technology continues to develop, the customer experience will evolve out of necessity. Geeta predicts that advanced machines will be able to analyze data quickly, providing for improved automated processes and customized interactions with customers. Artificial intelligence is just one way that is happening.